File system Browser – From atom window we can easily browse a file, project or multiple projects. Find and Replace – Atom supports easy way to find, preview and replace text in a file or across all your projects. Support Multiple Panes – We can easily split atom interface into multiple panes to compare and to edit code across the files. 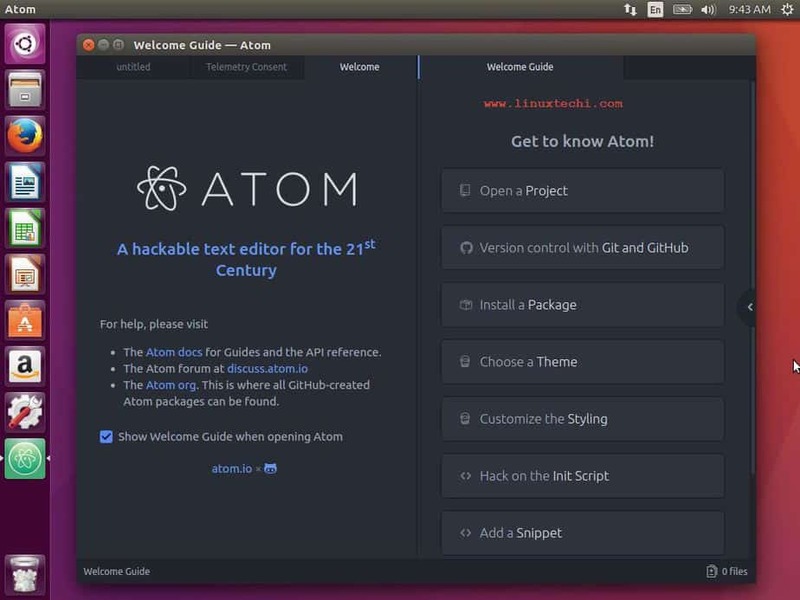 Atom rpm package is not available in the default CentOS and RHEL repositories. So we will download its RPM package from its official package. Open the terminal and run the following command one after the another. That’s all from this article. Please share your feedback and comments.